Puerto Vallarta is one of the most popular destinations in Mexico. It was put on the map in the 1960s when Richard Burton and Liz Taylor bought two houses in the centre of the city and connected them with a bridge. The world’s most famous couple made Puerto Vallarta a go-to destination, especially for North Americans. The perfect climate, excellent food, chic hotels and buzzing nightlife conspire to make Puerto Vallarta an irresistible place. This itinerary will also introduce you to Mexico’s most up and coming destination: Riviera Nayarit. Stunning hotels keep popping up and people are starting to flood in. It’s one of the best places to go to unwind in a luxury beach setting. 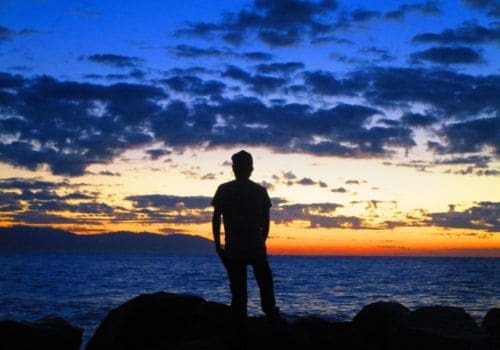 Puerto Vallarta is, needless to say, the most popular destination in Latin America for gay travellers. What’s not to like? You’ll land in Mexico City and then transfer directly to Puerto Vallarta. The flight will take around an hour and a half. You’ll then be transferred to your centrally located hotel. After breakfast you’ll set out on an orientation tour of the city. In the heart of the city you’ll visit Guadalupe church. You’ll then take a stroll down the Malecon – the heart of Puerto Vallarta. The views of Banderas Bay are stunning. There are many colourful shops to explore. Then, take a stroll around Zona Romantica. At night the bars will be full! Puerto Vallarta is considered to be the best foodie destination in Mexico outside the capital city. So, today you’ll be setting out on a foodie tour and learn about Mexican cuisine. You’ll also, naturally, eat plenty of it. A light breakfast may be in order. This morning you’ll take a boat tour around Banderas Bay. 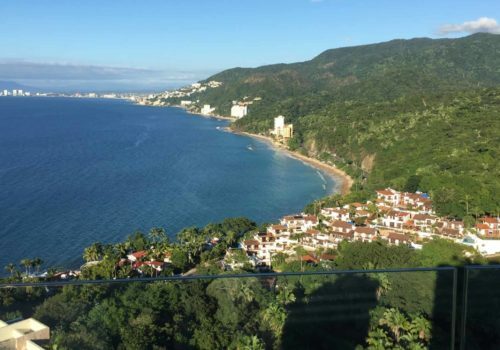 As your speedboat glides over the blue waters you’ll see excellent views of Puerto Vallarta’s coastline, and on the other side of the bay you’ll see Riviera Nayarit. You’ll spend some time on Majahuitas beach. Keep an eye peeled for pink flamingos, monkeys and parrots. Then, you’ll sail back to Puerto Vallarta. On the way, you’ll embark on a whale and dolphin watching tour. In the evening you may well wish to visit Zona Romantica, Puerto Vallarta’s legendary gay district. The nightlife is, as you might expect, fabulous. You may be inclined to go full on Eddie and Patsy. Enjoy a day at leisure in Puerto Vallarta. Stroll down the Malecon, do some shopping and enjoy the luxury spa facilities at your hotel. In the afternoon you’ll enjoy a tequila tasting session. You can drink as much or as little as you like! You’ll learn about the difference between tequila and mescal. Perhaps you’ll be tempted to take a bottle or two home. Later, take a trip downtown and visit Casa Kimberly, the former home of Liz Taylor and Richard Burton – now a luxury hotel. Enjoy a cocktail inside and then head down the road to La Capella for dinner. It’s the top restaurant in town. This morning a driver will meet you and transfer you to Riviera Nayarit. The drive will take no more than an hour. You’ll check into your luxury resort. If you’re feeling adventurous you’ll set out on an AVT tour. An expert guide will be with you all the way. You’ll drive an AVT through the Sierra Madre Mountains and over the world’s longest suspension bridge. It makes for a great adrenalin buzz. You can, of course, relax at the hotel if AVT drives aren’t your thing. Today your driver will meet you and take you to Sayulita, a colourful coastal village surrounded by the Sierra Madre. The beach is excellent and a big draw for surfers. Once a sleepy, unvisited place, Sayulita is now a favourite destination for travellers in Riveria Nayarit. It’ll give you an authentic taste of Mexican life. Enjoy the rest of your time in Rivera Nayarit at your own pace. Make the most of the spa, the beach and the pool. You’ll certainly be leaving with a tan. You’ll be transferred to the airport in Puerto Vallarta for your return flight.